These will probably be the characters in my fairy-pome because I’m LOOSING PATIENCE . . . not that I had much to loose . . . trying to find JUST The RIGHT characters. 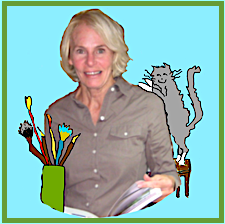 This entry was posted in Animals, Creatures & Critters, Creative Expressions, Fun & Frivolity, Painting, puttering & drawing, Year of the Fairy Tale and tagged Carla Sonheim, The Frog Princess characters, The Year of the Fairy Tale, watercolor and pencil. Bookmark the permalink. ← New Findings! The Sun Revolves around the Earth . 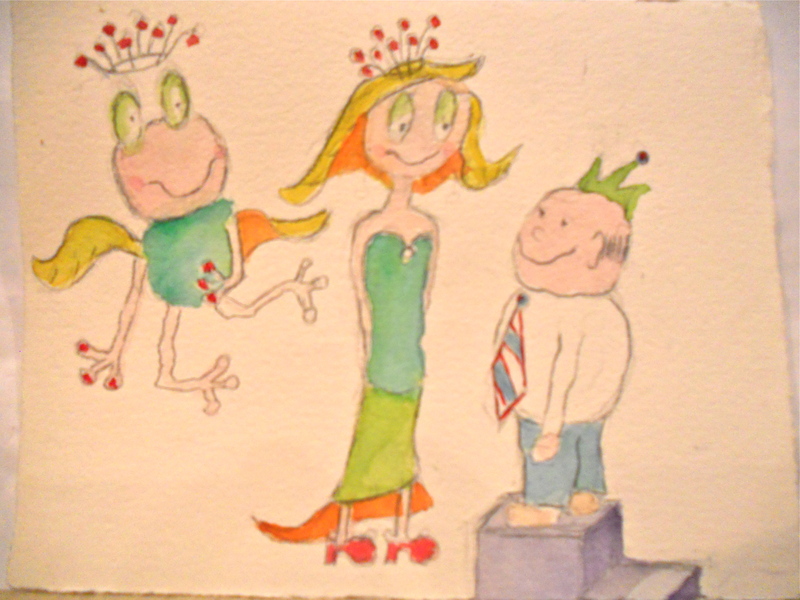 . .
You get credit for the Froggie’s and Princess’ new crowns – after your comment I rethought them! These ARE the perfect characters, Judy! So funny… love!